I am looking back to last year with gratitude this New Year’s morning. Thank your for your support while I was writing and putting the book together, and thank you for helping to let folks know about Growing Up With G.I. Joe’s after its publication date in November! Photo of G.I. 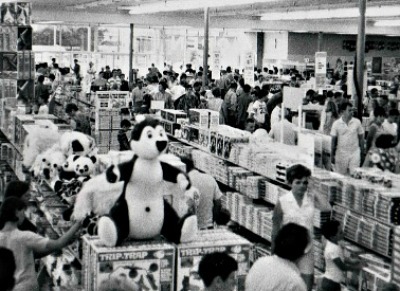 Joe’s Toyland in the late 1960s, located in either Store 2 or Store 3 in North Portland.